Hawaii is like a second home to us. Luckily, Yana’s sister lives in Maui. This gives us a perfect excuse to stay for extended periods. With just a short flight away, we set off to explore Hawaii Island, aka the Big Island. The youngest and largest of the islands, it is the only island with active volcanoes. The rugged terrain is a haven for adventure junkies. The island holds claim to one of only a few green sand beaches in the world. If all the stars align an incredible sight is watching a stream of lava flow into the Pacific Ocean. 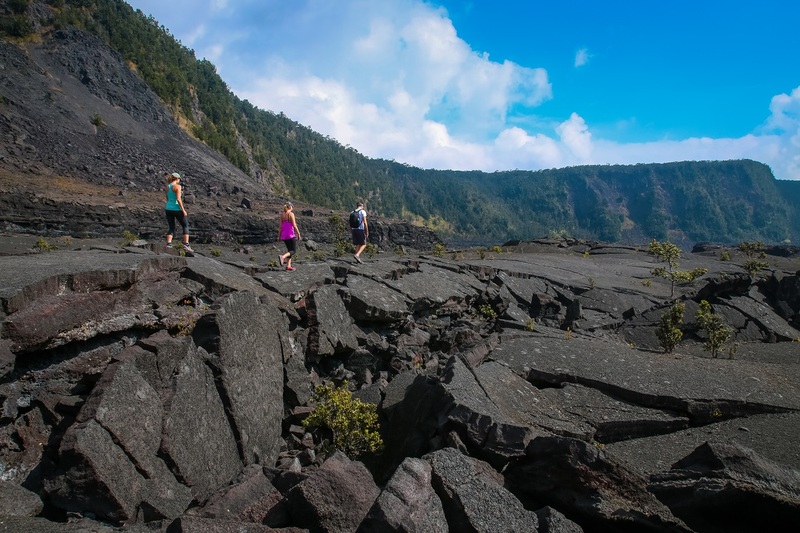 Hiking, viewing waterfalls, and exploring lava fields, are just a few of the Big Island things to do on a perfect Hawaiian getaway. While the Big Island is great year round, we recommend going in the fall. Between the months of September and November, the weather is cooler and room rates go down. Aside from Christmas and New Years, winter is another great time to visit. There is a high chance of seeing humpback whales as they migrate each year from Alaska to mate and calve. The island has two main towns from which to base your activities, Kona and Hilo. These two towns are where the bulk of hotels, guesthouses, B&B’s, Airbnb, and lodges are located. Kona is the largest city on the Big Island with some hikes and beaches in the vicinity. However, we recommend staying near Hilo because of the close proximity to Volcanoes National Park. Prices vary by season and start around $75 for basic guesthouses and $150 for hotels. Camping is a great way to save money on the Big Island. There are different options for camping that include 10 county parks, four state park campgrounds, and two national park campgrounds. County campgrounds cost $21 per adult for non-residents and can be booked online up to one year in advance. State parks cost $12 per campsite per night and can be booked online on the Hawaii State Parks website. The two National Park campsites, Nāmakanipaio and Kulanaokuaiki, are first come first serve. We recommend Nāmakanipaio which costs $15 per night regardless of the number of campers. Kulanaokuaiki has only nine campsites, does NOT have water, and costs $10 per night. For more information, check out the NPS website. Both campsites are within the National Park and also require payment for the park entry. For serious hiking, this trail will get the legs burning. It is 7.65 miles between both valleys but could end up 9 miles depending on where you park. 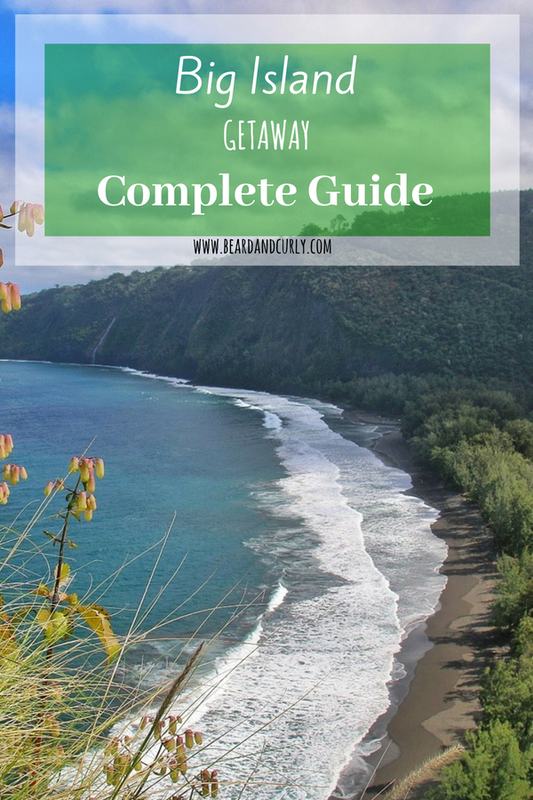 This is an excellent coastal hike which includes several river crossings, waterfalls, and two black sand beaches. It is best to make this a 3-day trip to enjoy a day off at Waimanu. 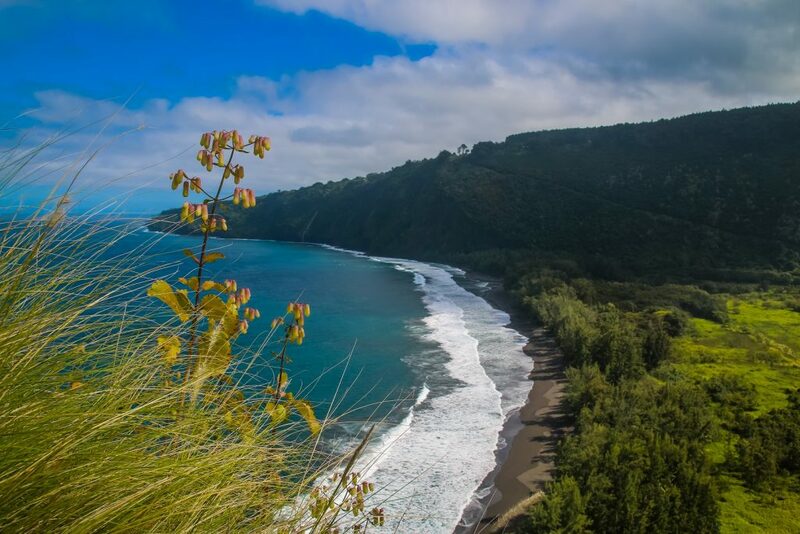 If hiking is not your thing or you don’t have enough time, check out the Waipio Valley overlook or head down to Waipio Beach (4wd access only). For more information read our Trip Report on Waipio Valley to Waimanu Valley. 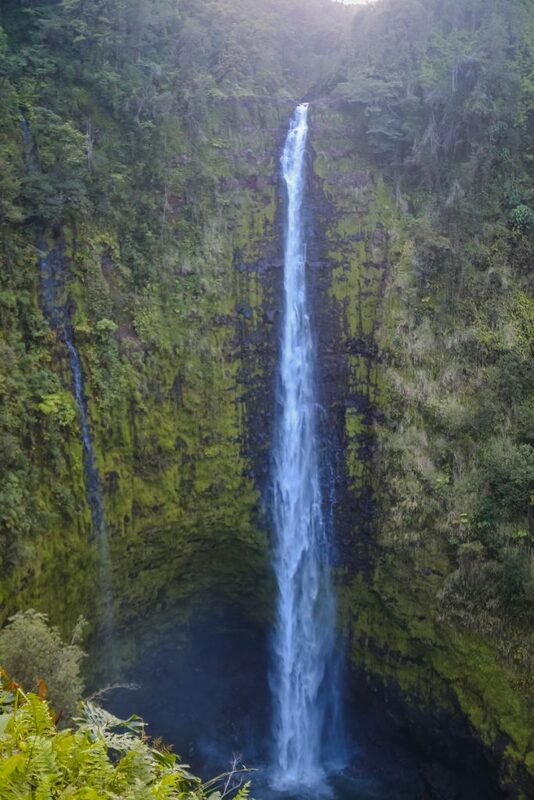 This spectacular 422 feet waterfall plunges off a cliff in stunning jungle scenery. This stop is 11 miles north of Hilo. It is located off the main road, and there is a short jungle walk to the viewpoint. Parking is free just outside of the car park. Entry is $1 per person. 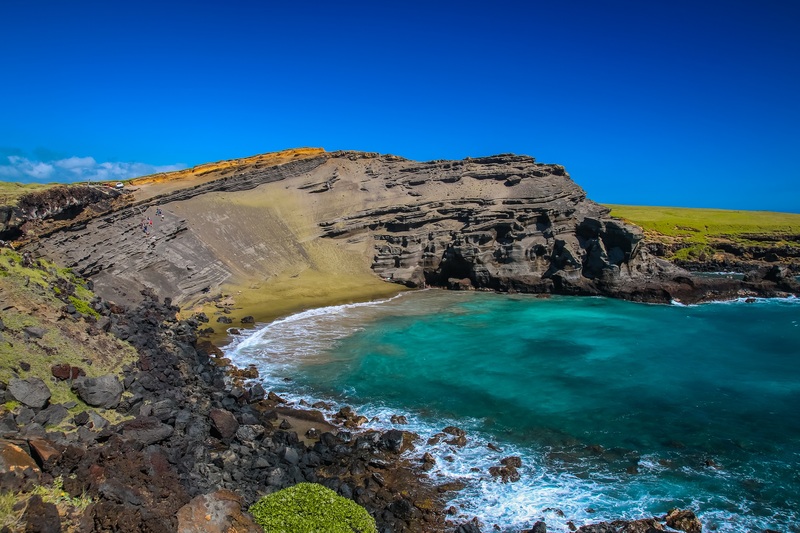 One of only four green sand beaches in the world, Papakolea is one of the top activities in Hawaii. The green sand is caused from olivine sand erosion which was once a volcanic cinder cone that was swept out to sea. Now what is left is one of Hawaii’s best and most unusual beaches. If equipped with a 4×4 and confidence, you can drive to the beach. If not, the parking area is accessible by standard car and requires a 2.5-mile walk to the beach. On weekends locals sometimes offer 4×4 rides for $10 per person each way. We were able to hitchhike each way. For an awesome cliff jump stop at Ka Lae, or South Point, just a few minutes from Papakolea. 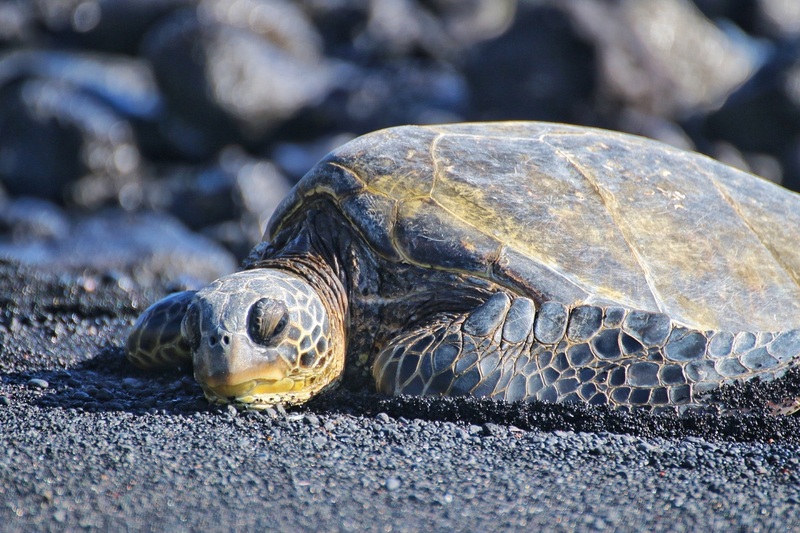 This black sand beach is one of the finest in Hawaii and has resident sea turtles to boot. 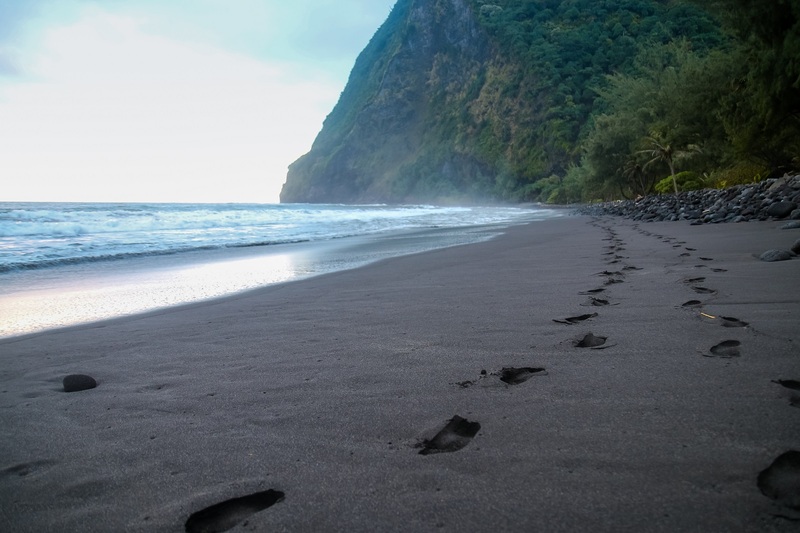 We have seen many black sand beaches, but this one has strikingly black sand. It is great for snorkeling and relaxing. 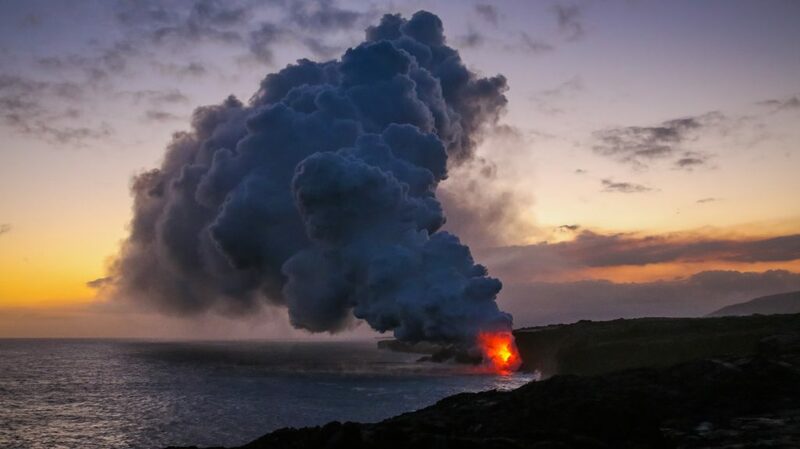 The main attraction on the Big Island is Volcanoes National Park. It has one of the most active volcanoes in the world. There are several things to see in the park, requiring a minimum of two to three days to see all the best sites. It is always important to understand the status of Volcanoes National Park before planning a trip. Normally, there is a continuous but safe level of volcanic activity in the park. However, every once in a while, she decided to grumble. The most recent is in June 2018 when the volcano erupted and most of Volcanoes National Park was closed for weeks. Check the NPS Website for alerts and updates on volcanic activity and park closures. Jagger Museum – Overlook to the Halema`uma`u crater which is fuming and at times lava is possibly seen. 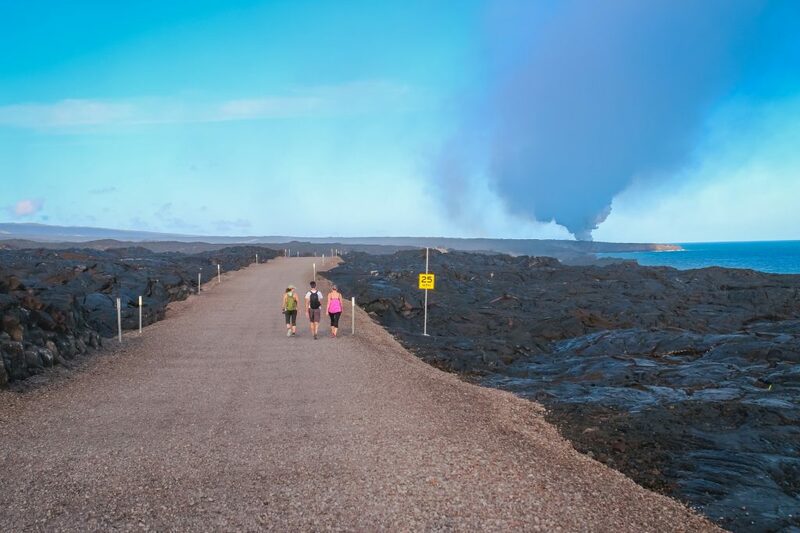 Ha’akulamanu Sulphur Banks – This 20-minute walk is through beautiful vegetation and nearby steam vents. Puʻu Puaʻi overlook – This overlook has spectacular views of the Kīlauea Iki crater and is the start to hike down into the crater itself. 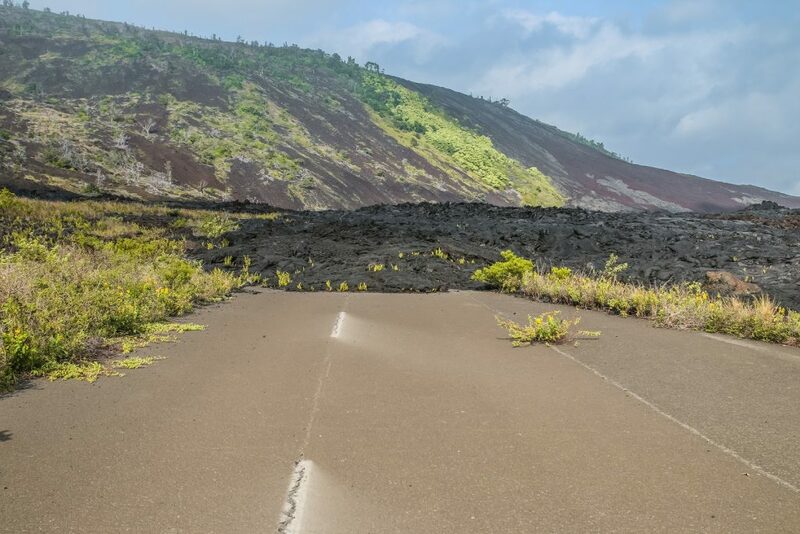 Kīlauea Iki hike – This 2-4 hour loop hike is through lush rainforest down to the crater floor. The exposed old lava flow is incredible. This was our second favorite hike in the park. Thurston lava tube – At the end of the Kīlauea Iki Trail is the Thurston Lava Tube. This is a 20-minute walk through a dark lava tube. Headlamp required. End of Chain of Craters Road – Drive to the end of the road near the Hōlei Sea Arch. 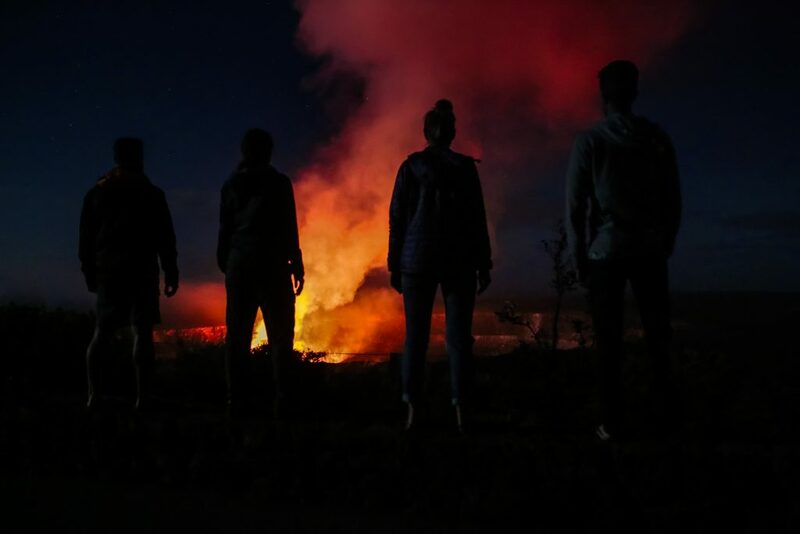 Walk to where the lava takes over the road for an awesome photo opp. 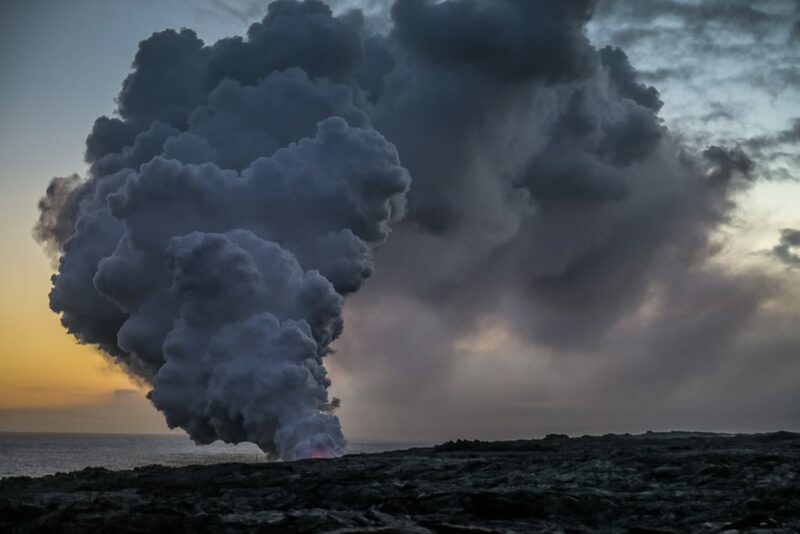 Kamokuna Lava viewing – This is by far the best activity in the park and should be done in the afternoon and early evening to see the lava in full glory. The lava flow is constantly changing. As of August 2017 access is available from two directions. From the east side of the park, the trail is a 4.2-mile hike or bike ride over a gravel road. For the best lava experience, we recommend going from the west side of the park at the End of Chain of Craters Road. This is a 5-mile hike, partly on a gravel road and partly over old lava flow is our favorite hike on the Big Island. For this hike, it is crucial to have good shoes and a flashlight or headlamp to return after dark. For up to date information, check out whats going on with the lava flow. Oh my, how absolutely beautiful. When I pinned your post I just couldn’t decide which picture to pin. I want to go so badly, everything about the Big Island fascinates me. I can’t imagine how awesome it must be to see a volcano for real. Aw thank you. The Big Island is really beautiful. Seeing lava in real life is something else! When I think Hawaii all I think Is the beach I’m glad that you are showing that there is more to it just the beach. We love to hike so we are always trying to find beautiful places to explore. Hawaii is perfect for both beaches and hiking. Hawaii is on my bucket list of dream vacations to take! While I defiantly think of the beaches when I imagine this magical place, taking a day to hike would be the perfect addition to a vacation. Hawaii is perfect for beaches and hiking. But I think the big island is better for hiking. For the best beaches check out Oahu or Maui. I’d love to go there, what beautiful photo’s! I love to explore when I go to new places so this looks perfect (not that my purse will agree) The Kamokuna Lava viewing sounds super fun! The lava viewing was amazing. Seeing hot tube of lava go into the ocean is unforgettable. Awesome! I haven’t been to Hawaii for awhile – I actually had a cousin stationed there for a bit with the Navy, so I used to visit him. Country is beyond gorgeous and I agree – it’s best to go on the off peak season! Yep Hawaii is pretty awesome! Hawaii looks so beautiful. In fact it is beyond beautiful. I’ve always heard it was a magical place but your photos proves this.